Produktinformationen "Haus der Kunst, Munich"
Today, Haus der Kunst is one of the most renowned international locations for positions in modern and contemporary art. At the same time, the House contains reminders of the disastrous combination of art, politics and propaganda in the »Third Reich«. Designed in 1933 by Hitler’s favourite architect, Paul Ludwig Troost, to present »German art«, »Haus der Deutschen Kunst« (»House of German Art«) was the first showcase monumental project arising from Nazi propaganda that became a backdrop used effectively by the National Socialist rulers for their self-staging in the media. 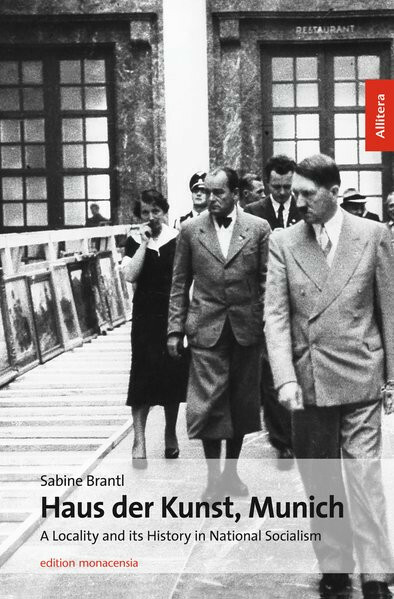 Until 1944, this was where the annual exhibitions of the art favoured by Hitler were held. While artists such as Arno Breker, Josef Thorak and Adolf Ziegler and their oversized paintings and sculptures glorified the blood and soil cult propagated by the National Socialists, the works of today’s classical modernism and their creators such as Oskar Kokoschka, Wassily Kandinsky or Paul Klee were vilified as »degenerate« and pilloried.